A beautiful and rare gemstone, the apatite, is starting to make a name for itself. 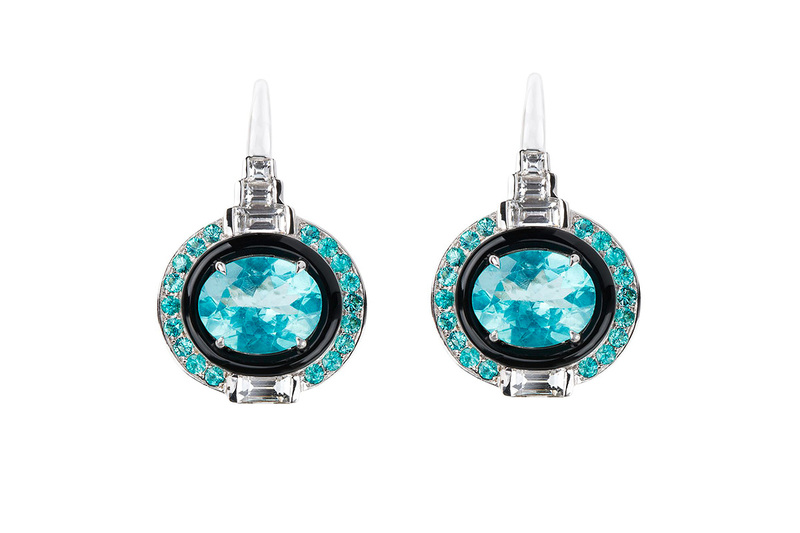 Not known to many, this electric colored stone is often compared to Paraiba tourmalines because of its blue intensity. Many of you have probably never heard of what the Apatite gemstone is. The apatite is the given name of a family of gemstones called hydroxyl-apatite, fluor-apatite and chlor-apatite. These names are long and hard to pronounce which is one of the reasons why the jewelry trade just uses the name apatite as main reference to the entire family. This word comes from a German geologist named Abraham Gottlob Werner. It is derived from a Greek word meaning ‘to deceive’ or ‘to cheat’. 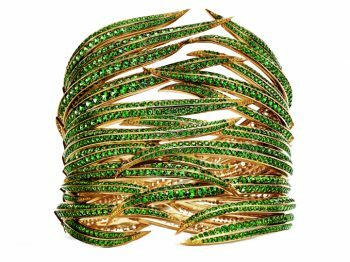 He chose this as apatites are often confused with tourmaline such as the Paraiba, peridot and beryl. Most often we see the comparison to Paraiba tourmaline, for they both have that unique, electric blue coloring. Apatite is often found in blues, browns, pink, yellows, greens and sometimes violets. The green coloring is often called asparagus apatite, due to the similarity in color to the vegetable. These stones can be found in Sri Lanka, Russia, Canada, East Africa, Sweden, Spain, Mexico, The United States, Norway, England, and Brazil. Some of the more prolific sources are Brazil, Mexico and East Africa. Though there are many deposits, finding good quality faceted stones over 1-carat is very rare. Apatite can be found in a variety of places. First, apatites can be mined in pegmatites -igneous rock with crystals- or in hydrothermal veins and cavities where you can spot fractures in a rock that are filled with crystals due to waterflow. The metamorphic rocks are named after the transformation of a rock due to high heat and pressure and in sedimentary rocks which are rocks that are formed through deposits of sediment, usually by water. Additionally, hydroxyl-apatite can be found in bones and teeth! Fluorescence is a huge factor in apatites. Many of these stones have strong vibrant fluorescence. 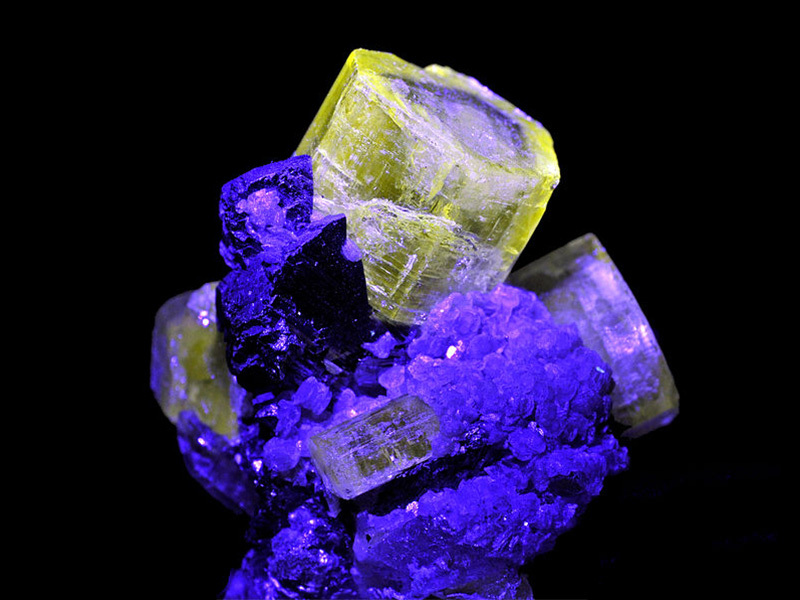 Yellow apatites fluoresce a lilac pink color, while blue apatites fluoresce violet blue to sky blue. Violet apatites can glow greenish-yellow, as do green apatites. 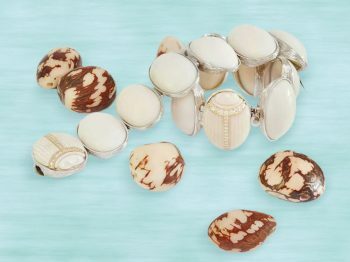 Apatites can also be formed with a cat’s eye effect, due to chatoyancy. These blue green and green stones are from Myanmar, Sri Lanka, Tanzania and Brazil. Coming it at 5 on the Mohs scale, these stones are very soft and should be worn with care. Extra thick settings can be used to help protect your stones. 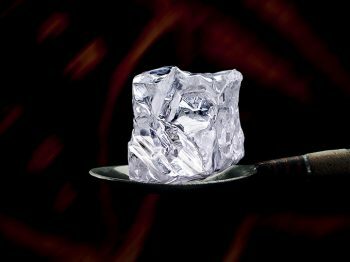 For comparison, diamonds are a 10 on the Mohs scale and talc is a 1. In 1995, in Madagascar, there were deposits found of the neon green and blue colored apatites. 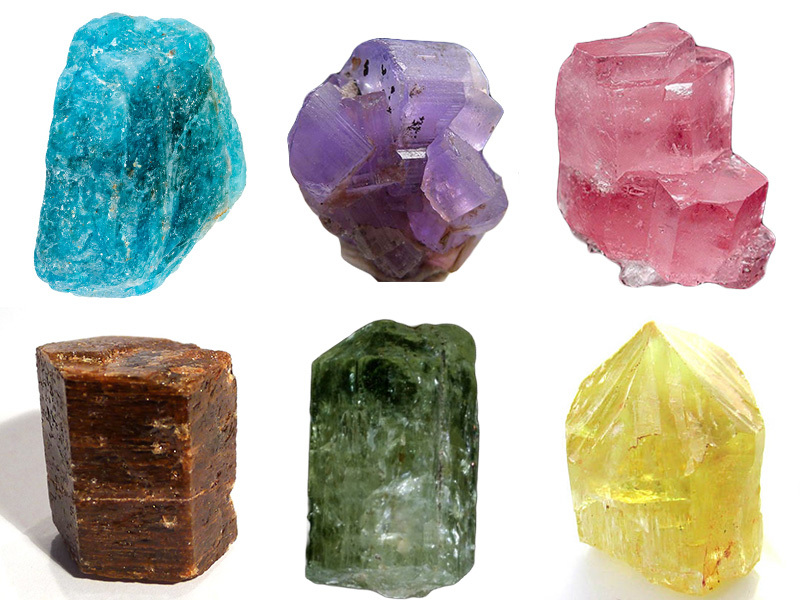 This helped to increase their popularity, though today they still aren’t as famous as other gemstones.